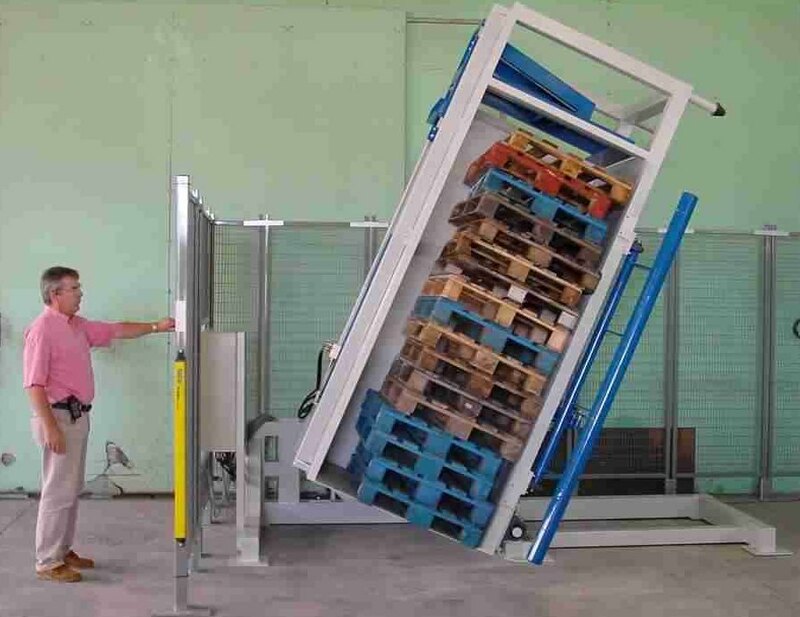 The pallet sorter TRIAX piles, aligns pallets and facilitates picking up operations. It enhances productivity and profitability by eliminating the defective pallets. It accelerates the sorting and aligning processes and improves the working conditions for the operator. No need for any particular maintenance apart from oil level check and greasing of the bearing. Pallets dimensions: 800x1200 mm and 1000x1200 mm. Maximal height of the stack: 2500 mm. Electric supply: 400 V -50 Hz.